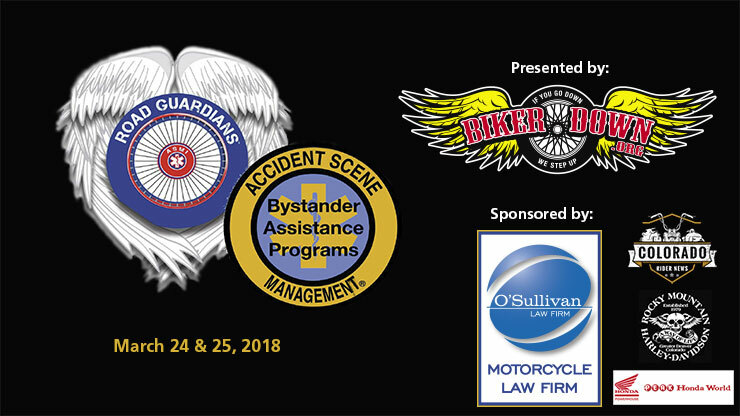 Last weekend, BikerDown hosted two Accident Scene Management classes the better prepared 38 people should they ever witness a motorcycle accident. May 13, 2017 was a beautiful day for a ride and the perfect day to raise awareness about motorcycle riders! 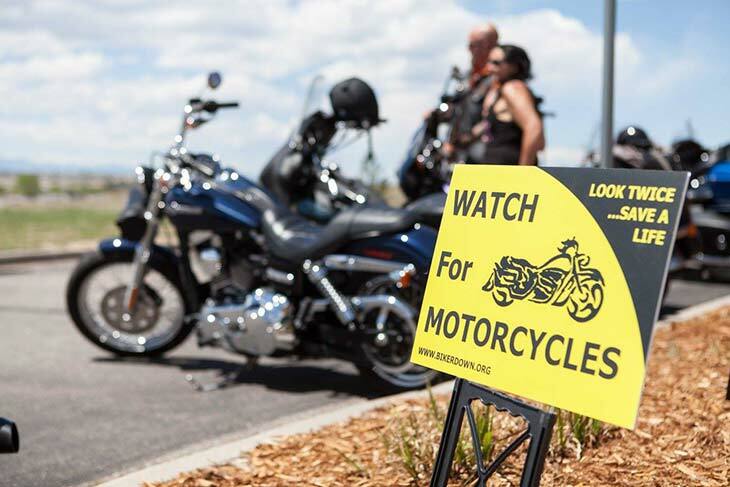 The Fourth Annual “BikerDown Look Twice, Save a Life Ride” not only raised $3,400 for BikerDown but captured media and political attention for our cause. 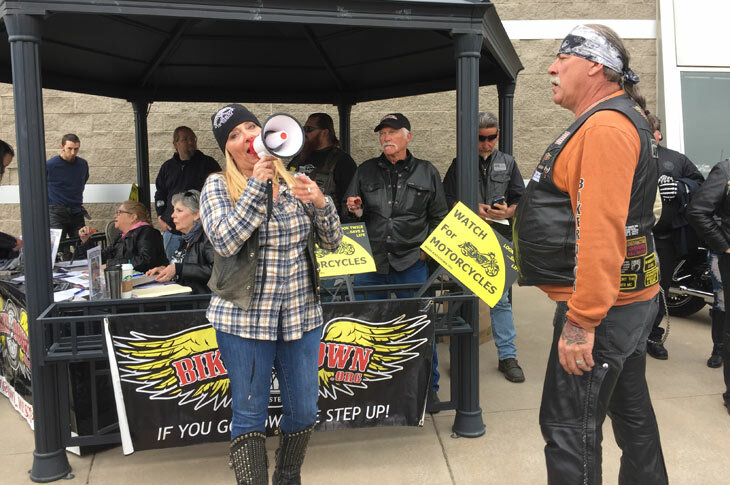 We met at the Rocky Mountain Harley-Davidson at 9am and we were joined by Fox News and Colorado State Representative Cole Wist, who had a personal story to share with the riders. Rep. Wist told us a heartfelt story about his teenage daughter, who was stopped at a red light when a motorcycle careened into the back of her car. The motorcyclist had been hit by a driver who was texting and driving. Because of that experience, his daughter now puts her phone in the back seat when she’s driving. I have to give a huge shout-out to Rep. Wist, who also helped pass Senate Bill 27, the anti-texting and driving bill. The bill, which passed in May 2017, increased the penalty for texting and driving from a $50 fee and one point to $300 and four points! Rep. Wist supported the bill and I believe his efforts will save motorcyclists’ lives. Sometimes politicians show up at events and say a lot of words that really have no meaning. Rep. Wist shared a story from the heart and we are so grateful. We also enjoyed a speech by Kathy Yevoli from Rocky Mountain Harley-Davidson. She said that her company supports three organizations: Children’s Hospital of Colorado, The Humane Society and BikerDown. Wow! We are in good company! She said that she is very proud to be associated with our organization because we help so many injured riders and their families. Then, we all got on our bikes for a gorgeous ride down through Palmer Lake and Monument. As a big group, with our bright Look Twice T-shirts (provided by The O’Sullivan Law Firm), I’m sure we raised eyebrows AND awareness! I have to be honest: BikerDown has been overwhelmed with help requests in 2017. (I’ll share statistics and stories in another blog.) 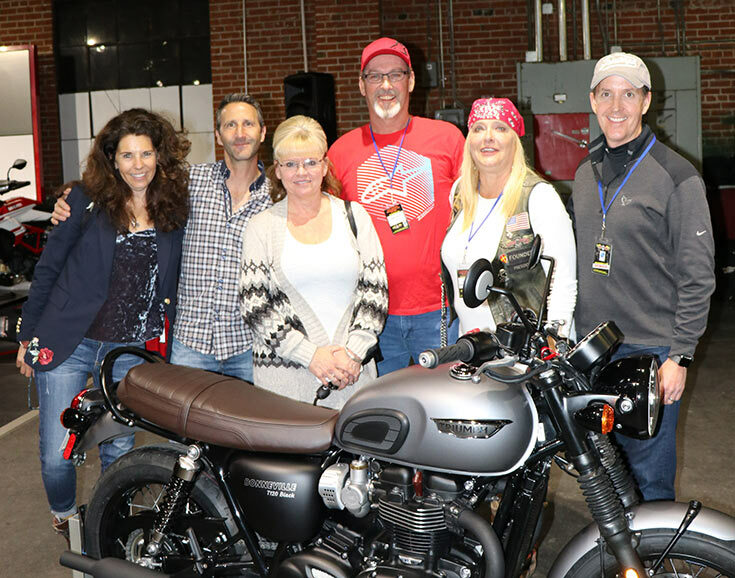 We all attend dozens of events and charity rides throughout the year for riders we know and love… won’t you please consider a gift to BikerDown? This organization provides emotional and financial support to bikers and their families. Just the other day, I was able to connect a hospitalized rider who had just lost a leg with another rider who lost his leg several years ago. Thanks to their connection, the newly injured rider has hope for his future. In addition to the all-important emotional support that we provide, we also offer medical equipment and financial support to riders in need. Bikers are the most generous people I know. Please consider a gift to BikerDown and expand the impact of your giving. Chomper and I will never quit advocating for your needs and rights as a biker! Remember: Look Twice and Save a Life! I founded BikerDown back in 2011 with the goal of creating an organization that would allow bikers to help bikers in a consistent and meaningful way. We are always holding fundraisers to benefit other people, but when one of our own goes down, we didn’t have an organized way to make a meaningful difference in their lives. I also wanted to raise awareness among riders about the types of insurance they should have. I want our community to be proactive in taking care of ourselves so that our family members don’t become burdened if we get in an accident. Finally, I also wanted this organization to help educate auto drivers about how to drive safely around motorcyclists. I’m happy to report that BikerDown has achieved all of those goals and our impact is growing! In 2015, BikerDown received 149 help requests. Of those, 49 were from family members whose loved ones had been killed in a motorcycle accident. With a total of 104 motorcycle accident fatalities in Colorado in 2015, BikerDown assisted almost half of the families who lost loved ones! Of course, I would prefer that there not be any fatalities at all, which is why BikerDown also hosts an annual Look Twice Save a Life Ride. This year’s ride was held on Saturday, May 14. Over 250 riders joined BikerDown and The O’Sullivan Law Firm (Sturgis Giveaway sponsor) at Rocky Mountain Harley-Davidson where we gave away a Sturgis Getaway! (We hold many giveaways to help raise awareness about our organization and about motorcycle safety.) The ride ended at Quaker Steak & Lube in Westminster. All told, we raised over $5,900 for BikerDown, which will directly help us to provide injured bikers and their families with support, including hospital visits, community assistance, medical and professional advice, medical equipment and other efforts. Another big accomplishment: Governor John Hickenlooper declared May 17 as BikerDown Motorcycle Awareness Day! We have our own day! I am so proud that this organization has been able to help more and more people year after year. But we’re not resting on our laurels! There are always injured bikers who need help, so we are always busy. Purchase as much auto insurance as possible. Purchase another layer of insurance by buying UIM or Underinsured Motorist Coverage. UIM covers you against other drivers who aren’t covered or who have low coverage. staying safe and protecting your loved ones. Share this blog with every biker you know! If you’re an annual member of BikerDown, thank you! You should be proud of your participation in an organization that is making a real difference. If you’re not a member, join us today! We are only going to get better from here!